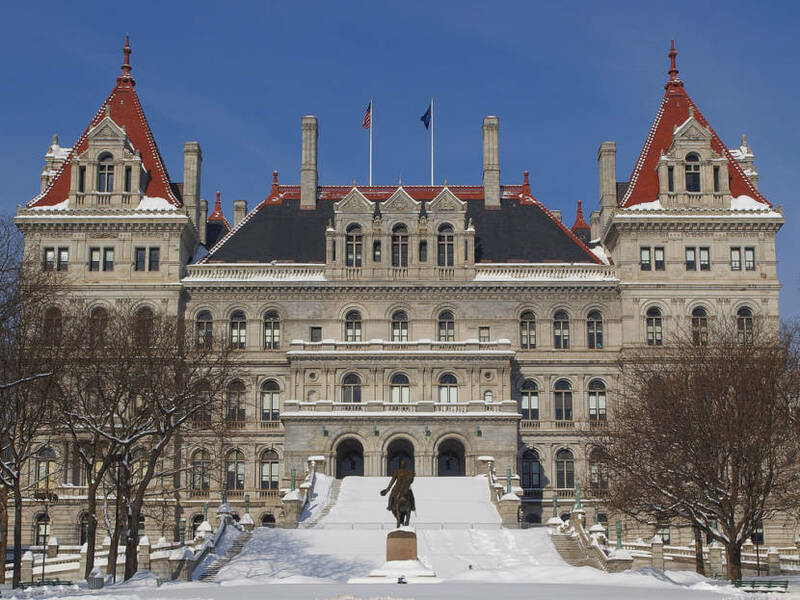 For those who may have been hiding beneath a rock, a group of bills that should have been passed long ago in Blue State New York has now been put on the agenda and either already passed or will pass with a guaranteed signature by Cuomo. For example, it will now be much easier for someone who was sexually abused as a child to sue, even if the event happened many years ago. The Catholic Church opposed this no-brainer bill for a long time, maybe because it would cost the Church a great deal of money. Fortunately and to their great credit, when it was clear that the bill would pass, they stopped objecting. Andrew Cuomo told us that the Church had problems with his father, the first Gov. 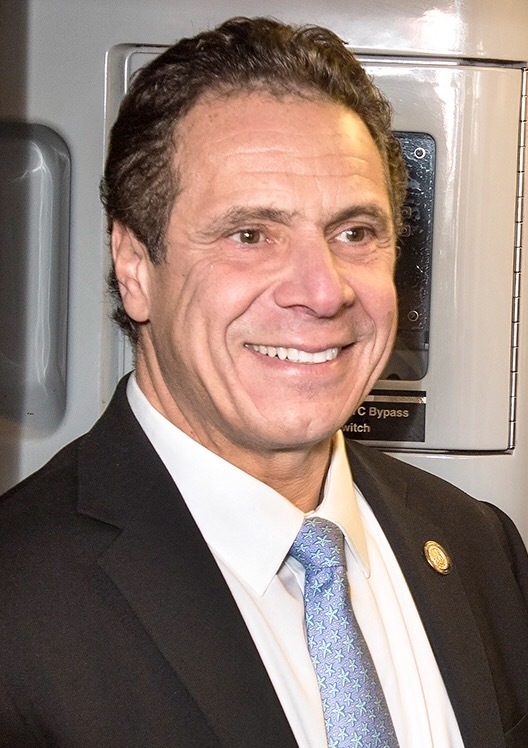 Cuomo, who was dedicated to his Catholic religion and that they had similar problems with him. To justify his sensible positions, he has taken to selectively quoting Pope Francis on some of his more liberal positions. A package of very sensible and more-than-overdue voting reforms was also passed by the legislature and signed into law by Cuomo. We all know that by passing these reforms, the Democratic majority in both houses has put what might well be a final nail in the Republican coffin in New York. There is a reason why the Republicans have always set up roadblocks to full participation in voting. They do that on the national level and on the state level and have done so since after Abraham Lincoln tried to ensure that all could vote. The party of Lincoln probably has that American hero of heroes tossing in his grave. Then there was the Reproductive Health Act, which has been signed into law. This legislation gives women the right to make decisions about their own bodies, including abortion. This was a huge slap in the face to the Republican-dominated Supreme Court, which is getting set to do great harm to the pro-woman doctrine laid out in Roe V. Wade. That alone would have been enough to call this legislative session historic. There was also the LGBTQ legislation that made it clear that our gay and lesbian brothers and sisters would get equal protection under the laws. The most controversial of this group of bills was the one that would make “conversion therapy” illegal. My bet is that the anti-conversion prohibition will be tested in the courts. In any case, it was tremendous victory for the gay community. That said, I think Gov. Cuomo’s call for prohibitions on the way in which the press is allowed to cover criminal arrests and trials is one dumb move. Perhaps the governor knows just how unpopular the press, taken as a whole, is, and perhaps some of the coverage is unfair and prejudicial, but the people’s right to know is basic to democracy. Maybe the governor is just pointing out how sensational much of the coverage has become, but he is treading on very dangerous ground and he is properly catching hell for his ideas on this. So, when you consider all of what has happened in the few short weeks since the Democrats took power, you have a real revolution. It never would have happened without Trump’s malfeasance. Assuming that our system of government survives Trump, we’ll have some very good, progressive policies that might not have happened without him. How about pointing out the fact that “the Guv” just announced a $2.3 BILLION short fall in “projected” personal income tax revenue, which you will also blame on the Trump/Republican tax cuts? Yep, the wealthy are leaving NY in droves. But, it’ll be all TRUMP’S FAULT!!!!! How about looking in the mirror Liberal Democrats? It is a puzzle as to why Jim writes a non sequitur to Alan’s column, railing against anticipated high state taxes, a subject Alan did not touch on. Assuming any relevance of this comment, let us not forget that Trump and his allegedly fiscally conservative Republicans have increased the national debt enormously, simply in order to give their ultra-wealthy financial supporters huge tax cuts. It is Trump and his merry men (and I use the gender advisedly), not the Democrats, who have not reduced spending — even on wasteful vanity items like a $5.7 billion wall, more than double the tax revenue shortfall which Jim cites. The Fraser Institute has established; the freest economies operate with comparatively less government interference, relying more on personal choice and free markets. Conversely, as government imposes restrictions on these choices, there is less economic freedom; followed by less economic prosperity. In its recent publication, “Economic Freedom of North America 2017,” the Fraser Institute found that New Hampshire—the Live Free or Die state—had the highest level of economic freedom among all U.S. states for the third year in a row, while for the third year in a row New York was the least-free state in the nation at 50th and California ranked 49th. This past November, in the state of New Hampshire, voters amended their state’s constitution to include: “An individual’s right to live free from governmental intrusion in private or personal information is natural, essential and inherent.” While, a recent quote from New York Mayor de Blasio, might explain why New York State is ranked 50th or the least free in the nation. “Our legal system is structured to favor private property…. if I had my druthers, the city government would determine every single plot of land, how development would proceed and there would be very stringent requirements around income levels and rents. That’s a world I’d love to see.” It sounds like the finest central planning tax money can buy. John Locke and Adam Smith firmly established that individual property rights ensure sovereignty, liberty, and economic prosperity. The concept is not new; but merely reaffirmed today by data and statistics, which clearly indicate nations that allow individual land ownership under the rule of law prosper economically, while nations which prohibit private land ownership or encumber it with undue regulations, suffer financially.